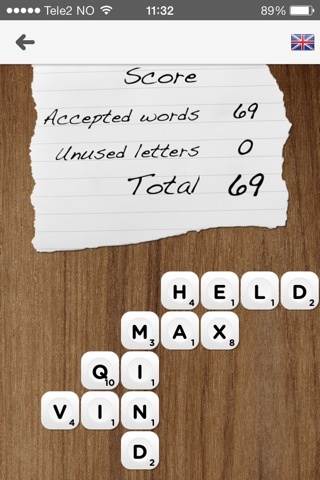 Wordout is a fast-paced multi-player word game for iOS that me and some friends recently put together. It is available in the App Store. Below are some screenshots of the game. They show what the aim of the game is: to put together a "crossword" of valid words (both horizontally and vertically) in only 90 seconds given a random set of 13 letters. 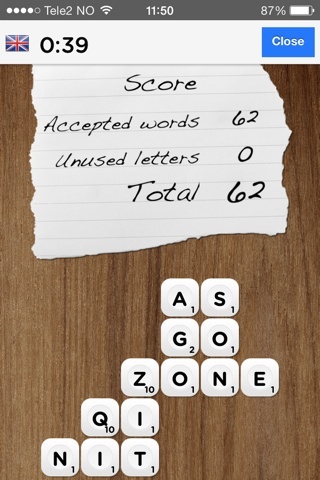 You gain points for the letters you use, and lose points for the letters you don't use (or words that aren't valid). A game can be with you and upto three other players, and each game has three rounds. The winner is the one with the highest points total after all three rounds. I have just finished building my new blog using HTML5 on the front end, and Node.js on the back end. It is hosted on heroku. 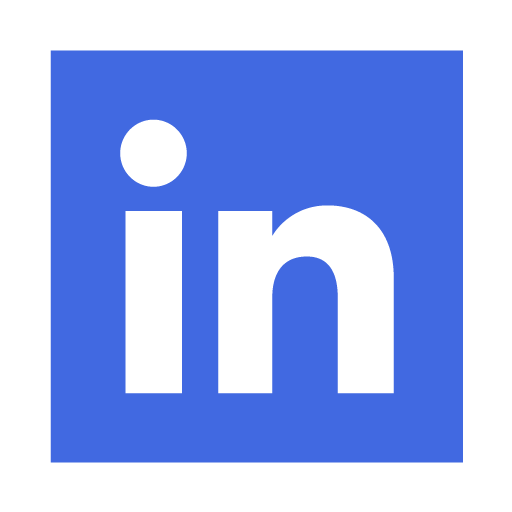 I previously used BlogEngine.NET, but wanted to write my own blog engine using some of the technologies I have been working with recently - technologies that I am passionate about and will be working with a lot more in the near future. 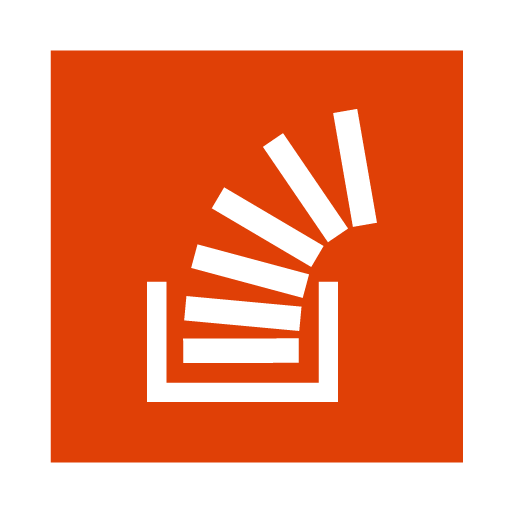 Writing my own blog engine from scratch using bleeding edge technologies was really fun, and I learned a lot along the way. Some of these things are discussed below. After those three little words, my changes are live. It is simple, fast and powerful. I tried to use semantic markup and make use of the new HTML5 tags where it made sense to use them. Every page on this website is valid HTML5. My new blog works in most browsers, and most modern mobile phones. That took some effort. I mainly had problems in IE7 and IE8 due to the fact that I was using HTML5 which is not supported in those browsers. John Resig does a great job in explaining why HTML5 tags do not render well in IE7 and IE8: because those browsers don't apply CSS styles to tags they don't understand. The first CSS rule applies to all browsers - it pushes the icon to the right of the footer. 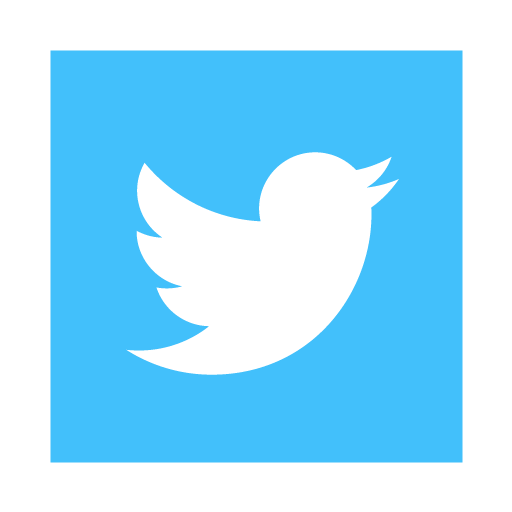 The second rule is embedded within a CSS3 media query, which will only apply to devices with a maximum width of 360 pixels: for those devices, the icon is hidden. I have done similar things in other places across the site - including adjusting font sizes appropriately. I have been in the web development game for over 10 years - but I have never been as excited about web development as I am today. With HTML5 and the umbrella of related technologies and API's that go with it, coupled with awesome modern browsers for both desktops and mobiles, the future of the web is brighter than ever. But enough talking - let's get back to coding! When I want to create a custom UITableViewCell in a MonoTouch app, I have been using the approach outlined in Simon Guindon's custom UITableViewCell tutorial that he wrote in 2009. 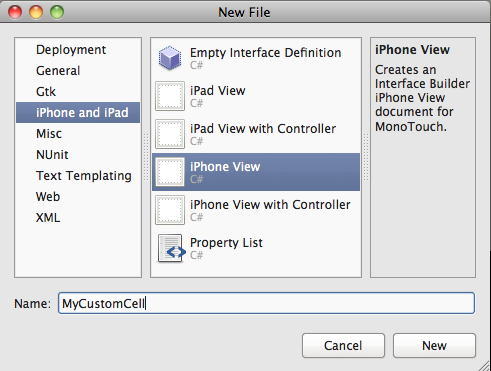 I used that method of creating custom cells in my NDC 2010 open-source MonoTouch iPhone app. Craig Dunn's blog is a gold-mine for MonoTouch samples - and he too uses the same approach for creating custom cells. 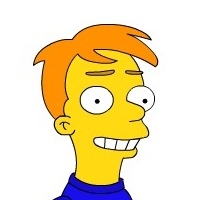 In fact, almost every MonoTouch sample I have seen on the Internet uses the same approach. It seems to have become the "standard" or "accepted" way of doing custom cells in MonoTouch apps. For some time now, I have had a feeling that this approach was not optimal and was somehow "wrong". It is essentially a UIViewController wrapped around a cell - the cell's Tag property being used to lookup the cell from a Dictionary. From the samples I have seen (and used myself) the Tag usually comes from Environment.TickCount. Sometimes during cell creation, the OS is so fast that the Environment.TickCount is the same for two cells created in quick succession - meaning we get a duplicate key exception for our Dictionary key! I'm not sure we are supposed to be using the cell's Tag property for this purpose. The GetCell method returns a UITableViewCell. Why am I dealing with UIViewController's wrapped around cells? Why do I have to manage my own Dictionary to handle cell reuse - isn't the whole point of the tableView.DequeueReusableCell() method that it handles that for us? With these questions in the back of my mind, I have always been uneasy about this approach, but never spent much time on improving it. Miguel de Icaza discusses UITableViewCell's in a blog post, but he doesn't go into detail about how to design the cell in Interface Builder and instantiate it from a XIB file. One of his comments on that blog post got me thinking, when he said: "I have no idea why anyone would create UIViewControllers for each cell. 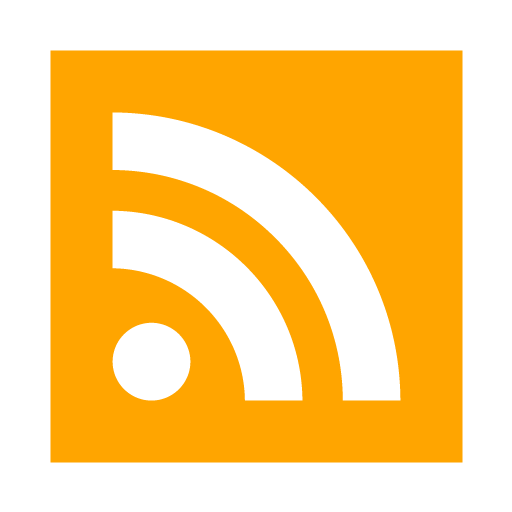 [...] It seems that those doing it are doing it because that is an easy way of instantiating the cell from a UI created in Interface Builder. 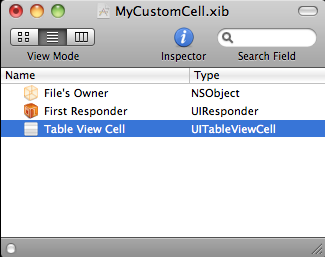 They should have instead created a UITableViewCell template in IB, not a UIViewController that contained a cell." Add a new file to your solution for your custom table cell: "iPhone View". Give it the name "MyCustomCell". Delete the UIView it gives you by default. Add a UITableViewCell. With your UITableViewCell selected, go to the Inspector window in Interface Builder, and on the Attributes tab, give your cell an ID in the "Identifier" box. The ID can be anything, but it is important because we will use it again later so that cells can be reused during scrolling. In the same window, but on the Identity tab, you will see a text box for "class". 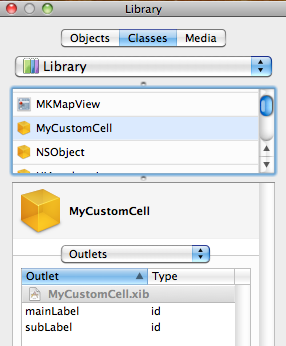 There, give it the name of your custom cell's class: "MyCustomCell". MonoTouch will generate a partial class with this name when we save and exit Interface Builder, and we will create the other half of that partial class later. Use Interface Builder to design your cell: you probably want to add some UILabel's and other UI components. To access those labels programmatically, create outlets for them and connect the outlets to the labels. In the library window, make sure that you are creating the outlets on the class that you chose earlier - and not on anything else (this often catches beginners out - creating the outlets on the wrong object). You are done with Interface Builder now - so save and quit. In the MyCustomCell.xib.designer.cs file, MonoTouch will have generated a partial class of type MyCustomCell. Don't touch that code - it will be auto-generated each time you make changes in Interface Builder. Notice that we inherit from UITableViewCell here - not UIViewController. You need to add that inheritance in yourself, because it won't be done automatically for you. In this example, however, I won't be sending in an object from my model, such as "Product" - I will just send in a string, but you get the idea. 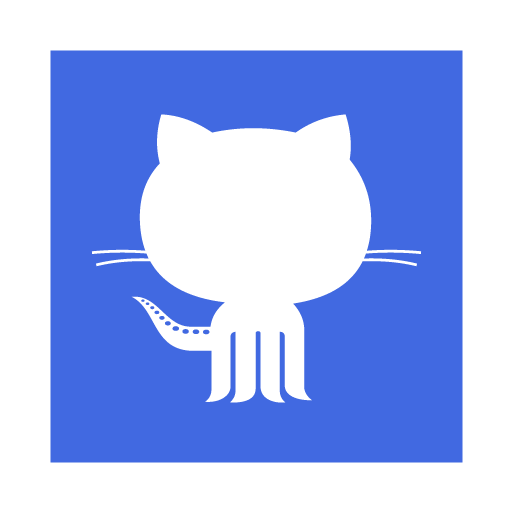 I have a fully-working sample over on github, called MonoTouch.CustomTableCells. I would appreciate feedback and discussion, and any improvements or tips, so please leave a comment if you have anything to add. Good luck!